Some games focus on escapism while others seek to render the world with some semblance of digital realism. American Truck Simulator falls in the second category, which is why in its next update the game will be closing players’ access to California’s coastal Highway 1 for a portion near Big Sur. That’s because a landslide several weeks ago covered that part of the road in upwards of 35 feet of dirt. 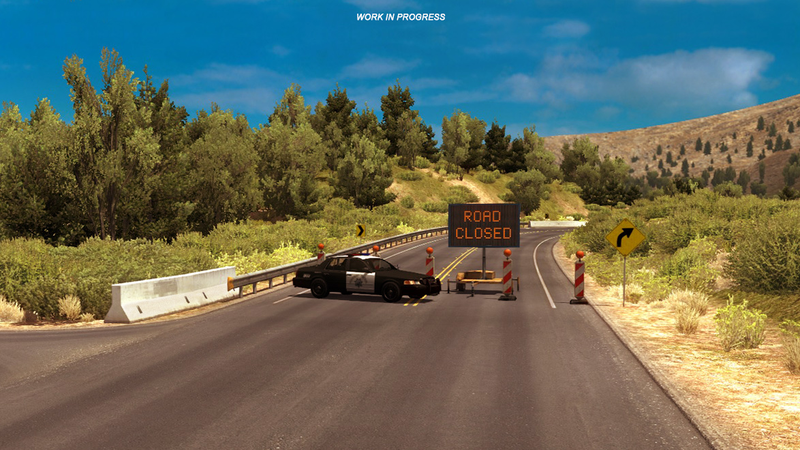 As work crews continue to dig out from the natural disaster, the American Truck Simulator development team says it will re-open the affected length of Highway 1 in the game once that reality is reflected in, well, real life. Meanwhile, players will have to take an alternate route when traversing that section of the Golden State’s coast. If you’ve ever asked yourself whey anyone would want to spend their time playing a game that approximates driving a truck as accurately as possible, this in part is why. Everyone’s driven by their own personal truth, and for some that means taking to the open digital road and piloting a many-ton load across country. Small details can add to the illusion or detract from it, and as with anything else, the beauty is in the commitment to a principle, rather than the end result.